Every modern first-person RPG owes a debt to Ultima Underworld, it was the first game to put your face into a 3D world filled with dice rolls, XP points, and orcs. From Underworld you can trace the Elder Scrolls games, Deus Ex, even shooters like Borderlands. It was made by Blue Sky Productions, the studio which became Looking Glass Studios. For almost 23 years it’s sat quietly in the dark. 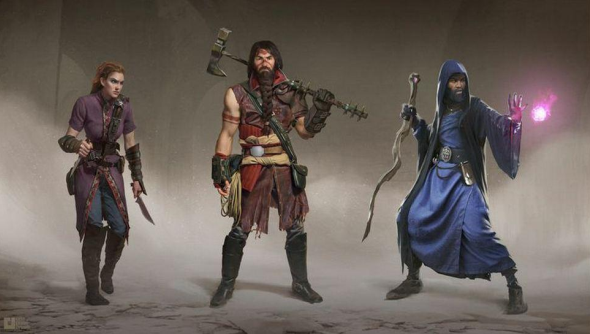 Otherside Entertainment have acquired the rights to Underworld and plan to Kickstart a spiritual successor called Underworld Ascendant. They’ve even got some of the original team to help out. You may not have heard of Otherside Entertainment, it was only founded in 2014, but its founder is Paul Neurath founded Blue Sky Productions and Floodgate Entertainment. He’s overseen the making of games like Thief and Thief 2, System Shock 2, Arx Fatalis, and, of course, the original Ultima Underworld. Neurath’s planning to start the Kickstarter campaign on February 4. Otherside haven’t announced the base funding target but they said on Twitter that $1 million would cover their base target and initial stretch goals. We’ve seen in the past with Pillars of Eternity, Wasteland 2, and Torment: Tides of Numenera that classically inspired RPGs can draw a huge amount of funding so Neurath may hit his target very quickly.